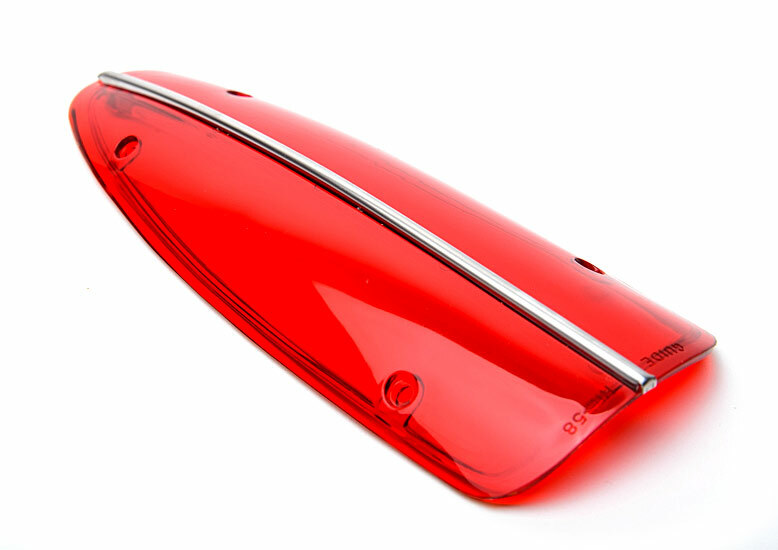 1958-1960 Corvette tail light lens with chrome trim. USA made, correct color, correct reproduction. Sold individually.